Townhome in Windsor Hills gated community - Minutes Away from Disney! Stop searching through lists of endless rentals to try and find the perfect vacation home near Disney! Here it is! A 3 bed Townhome in the beautiful community of Windsor Hills! The property is fully furnished, it has a fully equipped kitchen (full size fridge/freezer, full size stove, microwave, coffee maker, kettle, toaster, dishes, pots/pans, utensils, silverware, etc. ), full size washer and dryer, and include TV’s, VCRs/DVDs,free WIFI in the home , stereo systems, iron/ironing boards, and all of your linens and towels. This accommodation is located within fifteen minutes from Walt Disney World®, Universal Studios Orlando®, SeaWorld® and other great Orlando attractions! The property featured here is a 3 bedroom/3 bathroom Townhome with private splash pool. The Windsor Hills Resort is a 24-hour secure gated resort community located less than 2 miles from Walt Disney World making it the closest resort community to the major theme parks. Over the past eight years Windsor Hills has firmly secured its position as the most popular private rental community in Orlando. Windsor Hills is the perfect retreat to escape the frenetic atmosphere of the parks. 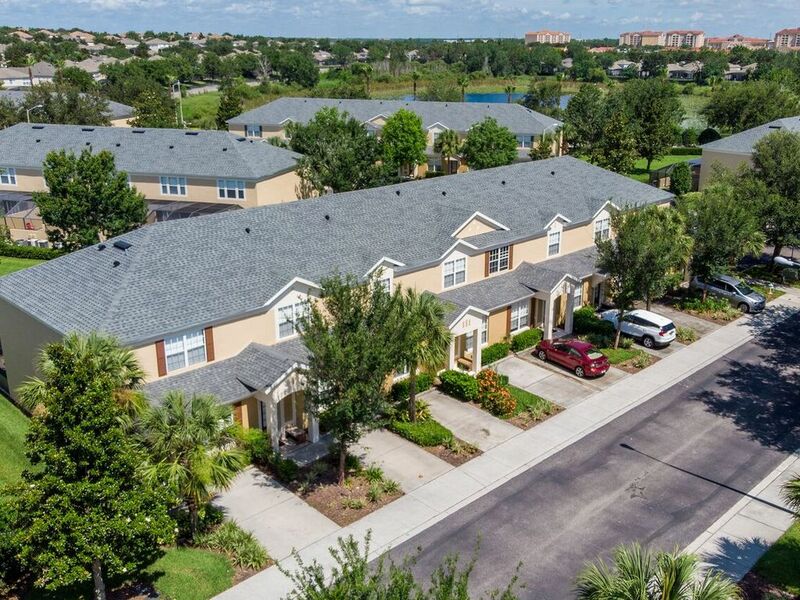 Easy to get to and only 20 minutes drive from Disney by car or bus, it provides the optimal base for a full on day at the parks then some well earned rest in the comfort of your own home away from home. Windsor Hills offers peace and tranquility and a luxurious accommodation option as an alternative to staying on-site at Disney. Alternatively the resort acts as the ideal golf holiday location, located next door to the excellent Mystic Dunes Golf Club and within easy reach of a wide array of golf courses in the Kissimmee area (across all ability levels and budgets) so there are plenty of options and a week or two of full on golf, playing a different course every day, is easily achieved with Windsor Hills as your base.